Legal proceedings are still continuing between South African company, BMi Research (Pty) Ltd, and Business Monitor International, a division of US-based financial information services, Fitch Group, which rebranded its global operation to BMI Research in March 2015. Due to the fact that this possible name infringement is continuing to cause confusion among local media and the business sector, the original BMi Research would like to clarify a few points. BMi Research (Pty) Ltd was established in South Africa in 2008 and is a wholly-owned subsidiary of the South African-based Cognition Holdings, a JSE-listed company. 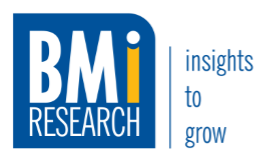 BMi Research (Pty) Ltd is a leading full-service local research house, with particular focus in the consumer, industrial and CPG markets in various sectors, including the retail market. BMi Research (Pty) Ltd has longstanding affiliations to several local industry organisations, including the Southern African Marketing Research Association (SAMRA), ESOMAR, Mystery Shopping Professionals Association (MSPA), PAMRO and Consumer Goods Council of South Africa (CGCSA). BMi Research has a fully staffed research presence in South Africa conducting primary research in South Africa and across the continent. There is no connection or association whatsoever between the South African BMi Research (Pty) Limited and the global Business Monitor International (part of The Fitch Group).